COOL NIGHTS & SKY BLUE DAYS! 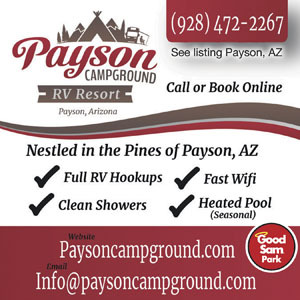 Enjoy and relax in the cool, refreshing, mountain air with some of the most beautiful ponderosa pine trees - a mountain camping resort at its best...in the heart of Payson, Arizona. Lets just start by saying, we have stayed at lots of RV parks that are called resorts and this campground is not a resort, the roads are extremely dusty and most of the spots are not very level, the electric service on a hot day when all of the AC's are running you are lucky to get 100 volts. And all of the restrooms showers are in need of remodel. most resorts we have stayed at have better WiFi and also have TV cable connection with lots of channels. There is not a lot for young kids to do but get dirty from all of the dusty roads They say that pool is heated but its around the mid 70 or so and that's not heated and no heated spa. the water pressure varies though out the day. So in closing this park is not a resort and worth what they are charging for a night! The youngest owner here is completely inconsiderate and money hungry. We added two days to our reservation and he told us he would not honor our reservation and that we needed to leave due to simple miscommunication. I have my 3 month old son, and we were not at all prepared to leave and had less than an hour to get off the campground. Me, my husband and son have stayed here multiple times and have never had any problems until our last trip. Everyone else that works here and the other owners are wonderful and the pool is great. The park is well maintained and the pull through sites are decent size and graded. Cool place to stay, kind of like staying on side of a mountain. Check in was very easy - nice Roadways and site was very tight for a Class A - unable to put awning out....found place to be very dusty... dog run was a small triangular dog pen.....camp employee was friendly. Nice facility with large spaces but the dust is terrible. Needs paved roads and spaces. Anyone suffering with allergies or breathing problems will find this facility intolerable. Dust covers everything ruins shoes and is very difficult for pets. Until something is done to improve the roadways and spaces, I would put this campground on the "do not visit" list. The poor rating is mainly due to their awful customer service. They are extremely rude, the worst I've ever had in all my years camping. They make the stay quite unpleasant and the sites aren't great either. Very dusty and small without any amenities such as fire rings or tables. The pool area was okay but was so cold we couldn't go in, even though it was hot outside. Overall cleanliness of the campground was an issue. There are better campgrounds around. Really great camp ground if you want peace and quiet - even on Holiday weekends. I'm writing this from the campground on Memorial Day weekend. Ask for a site in the back of the campground (sited 58-77) Nice large shaded spots. We have a 39 ft rig - lots of room for our rig and to sit outside and barbecue. Very private spot with trees between us and the neighbors. One note about bathroom, was out of stationary one morning, but hey, we're here on a holiday weekend. This is just an average rv site. 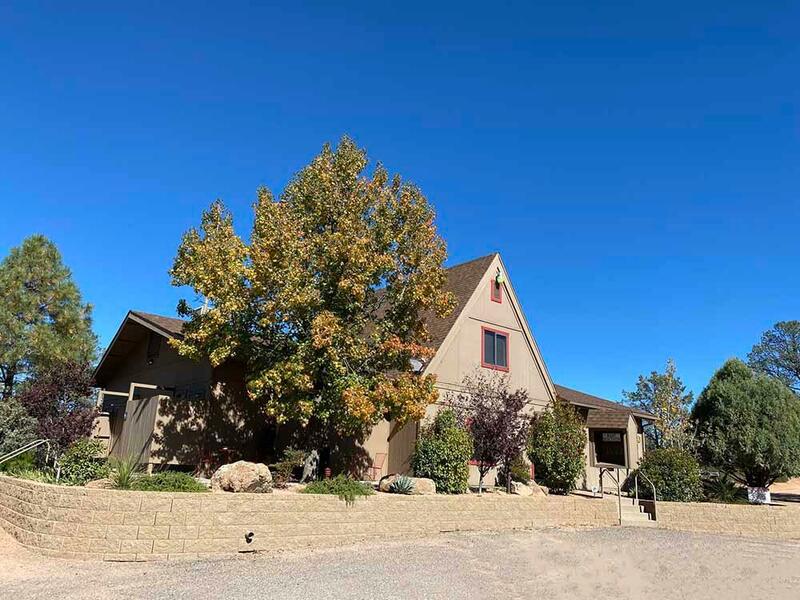 It is close to everything in Payson so convenience is nice but other than that the appeal is just so-so. The staff is super friendly and very accomodating no complaints there. The sites are just right on top of one another and set on a hill at an angle so it makes it tricky even though we had a pull thru site, just no privacy at all you are literally on top of your neighbors, some trees but not enough for any privacy. There isnt much really going on here, yes they have a pool but basically this is just a place to set up camp so that you can be out and about elsewhere. Our RV spot was very uneven. There was a hole right where our steps on the RV were and so it made it very hard to step down. The spot was not long enough so we could not move the RV to get away from the hole. Obviously, they need to rake and level their spots more often. It was a very uncomfortable spot. Will never use this Campground again. Staff was friendly, and hustled to get many checkins done in short order. Sites are well maintained. Great pool and close to town. 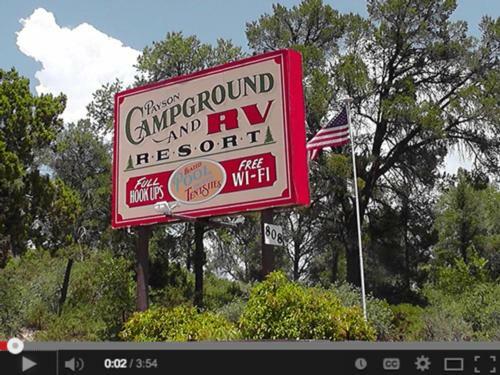 This is a family owned campground and the family and staff are super! We've been here 5 months. The bathrooms, showers, laundry room, pool, grounds and office lobby are all well maintained and always clean. Its pretty with the different trees. This summer they have had free poolside entertainment on Saturday nights. Oh my gosh we had a blast. Its like a family party. Some nights they had Karoake. Even the kids and teens got up to sing....not shy at all....like only their family was in the audience. We danced, and sang and enjoyed the beautiful Payson nights. The campground is located on Hwy 260 but it is kind of tucked away. We are in a travel trailer. We never noticed any traffic noise. I have walked to the store from here because things are close by. There is even a short cut through the campground to Fargo's Steakhouse, which is a nice place. We paid monthly rent and it was so reasonable. What a fun place to stay!